Fox News host Laura Ingraham lashed out at the Cleveland Cavaliers’ LeBron James and the Golden State Warriors’ Kevin Durant for discussing President Donald Trump’s racist and divisive politics, saying, “Must they run their mouths like that,” and calling James’ statement “barely intelligible." But Ingraham has no apparent problem with celebrities like Scott Baio opining on politics (Baio has an article tag on Ingraham’s LifeZette website). She herself called Clint Eastwood's 2012 Republican National Convention speech delivered to a chair "terrific." Fox News Channel has also repeatedly invited conservative celebrities to push their political narratives, including Baio, actors James Woods, Antonio Sabato Jr., Jon Voight, and Fabio Lanzoni, musician Kid Rock, and Clueless actress/former Fox News contributor Stacey Dash. And prior to getting into politics, Trump used to regularly phone in on Fox & Friends for years -- an arrangement the former host of NBC’s Celebrity Apprentice has credited for winning him the presidency. 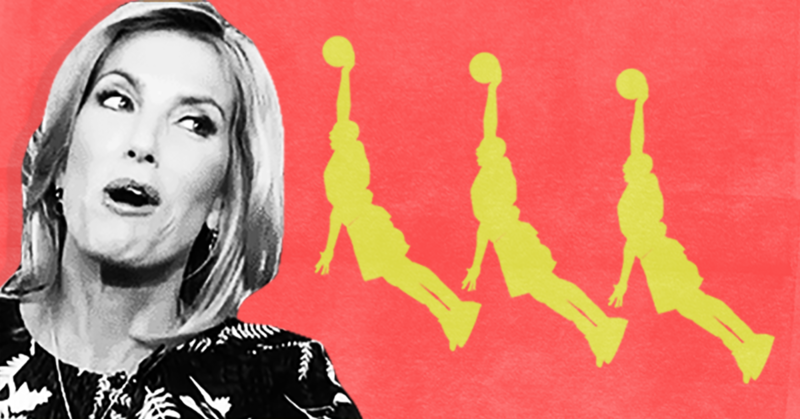 Ingraham’s attacks on James and Durant echo years of racist and racialized commentary on her radio and television programs. After James previously said that people who voted for Trump made a mistake, Ingraham attacked him, saying he was “so ignorant,” and she has called kneeling NFL players “punks,” adding, “that’s the old-fashioned Connecticut Yankee in me.” Ingraham even observed the 50th anniversary of the March on Washington for Jobs and Freedom with audio of gunshots and a discussion about black crime rates. Following Ingraham’s latest rant, multiple athletes took to Twitter to call her out for her “absurd” rhetoric.